PocketMode is back and better! Now supporting iOS 7, PocketMode 2 now also supports any application with notifications! PocketMode makes your iPhone ring louder when it’s in your pocket or bag ensuring you don’t miss important calls or messages. As soon as you remove it the volume returns to normal. PocketMode is perfect for anyone who doesn’t want a noisy phone but also doesn’t want to miss important calls on the go. PocketMode uses the ambient light sensor on your device to detect when it’s been placed in a dark location and gradually rings louder until you answer. PocketMode won’t disturb you at night though as it respects your Do Not Disturb settings. 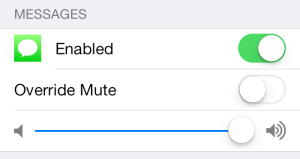 PocketMode is fully configurable and can even override your mute switch. 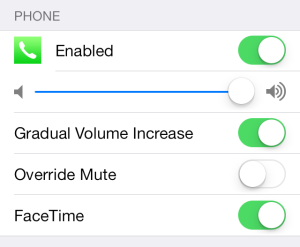 Choose whether to gradually increase volume, what level to increase to and even which app’s notifications to amplify in addition to calls and messages. By using the ambient light sensor PocketMode is much quicker and more efficient than other solutions that power up the camera. Compatible with iOS 7 and later. Check out PocketMode for iOS 4 compatibility. 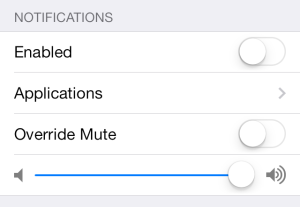 PocketMode can be configured in the Settings app under ‘PocketMode’. Note: not all applications have notifications in this list. 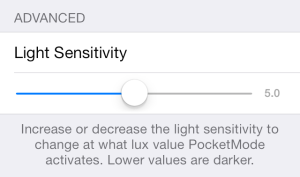 Light Sensitivity – Adjust the level of light at which PocketMode activates. Values are in Lux. A value of 0 means PocketMode will only activate in absolute darkness. It’s recommended to set it higher than this to account for other light sources causing a reading above this. Default is 10. No, the ALS is only enabled when when the phone is awake and PocketMode just listens for the same events that having Auto Brightness enabled will generate. Does PocketMode increase past the devices maximum volume? No. PocketMode is limited to whatever the hardware’s maximum volume is. I have a feature request/bug report, where can I send it? You can report bugs and request features by using the Contact page or emailing through Cydia. Does this work on 64-bit devices like the iPhone 5S? Yes! PocketMode has full ARM64 support. What firmwares does PocketMode work on? PocketMode works on iOS 7.0 – 7.1.1 currently. Email me through Cydia if you are having issues as this will give me more information to help identify the problem. Otherwise you can contact me here. Thanks for updating PocketMode. My life is now complete. I’m serious. Wonderful tweak ! Is it possible to add a toggle in flipcontrolcenter to activate/deactivate it quickly ? I’m adding a flipswitch in the next update! So you have it silent with vibrate disabled? Not sure I’ll be able to implement that but I’ll have a look! Im afraid I don’t have any iOS 6 devices to develop and test on sorry! Does it also work with CallBar? I think its incompatible with CallBar unfortunately due to the way CallBar overrides standard user interface elements. My iPhone 5 keeps crashing when a call comes in. PLZ help me. Before it was one of my favourite tweaks! I have a question,it can choice me at night(turn off light). I have a question,it disturb me at night(turn off light) when I’m sleeping. So could you add that function auto disable PocketMode when enabled DND mode or putted the phone to horizontal. My English so bad,hope you can understand.Thank you. 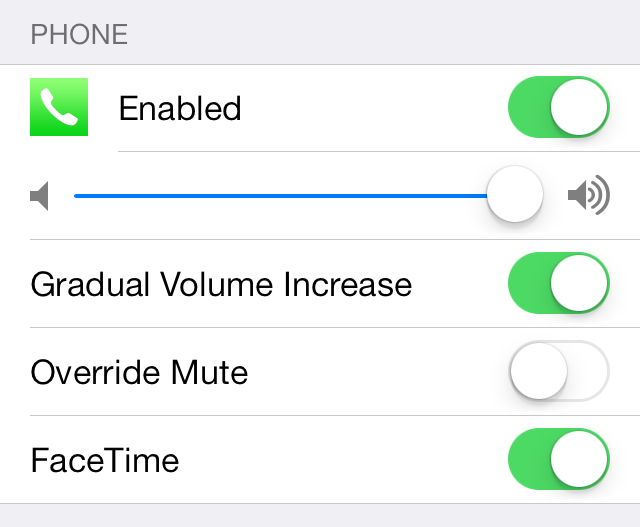 Hi, if you have DND enabled it should automatically obey it and not ring. 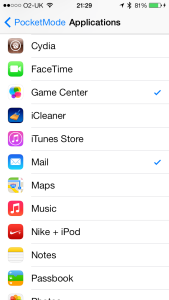 Love your tweak but it is not working on IOS 8.1. Are you working on an update for IOS 8. Please tell me you are.